And just like that we are into June. June brings Summer, sunshine and so much beach time. I love this time of year. I have a lot on my plate for the next month, but I am very excited about it. ONE. So my pup is 6 1/2 years old and he loves walks. What dog doesn't? But my dog loves to sniff everything at every house that we pass. He also loves to run and pull us along. Both of these are awful for his neck. We used to use a harness on him until he pulled it down from the counter and chewed through it. And then we never bought a new one. But after visiting my co-workers house last Friday, we saw that he got his dog a new harness because he was having back issues (he is a beagle). I don't want to be that bad dog mom anymore, so I ordered Walter a new harness this week on Amazon. While he isn't the biggest fan of putting it on, he will eventually get into it because that means a walk for him. 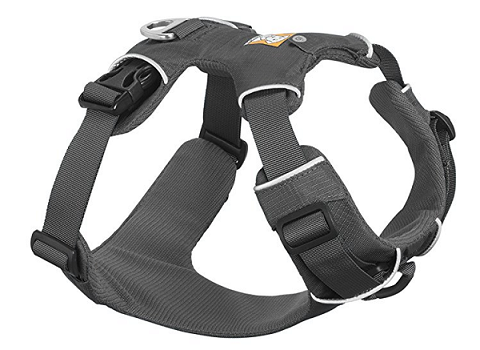 I went with the Ruffwear Front Range No-Pull Harness because that is what my co-worker recommended. So far we are loving it. Now I also want to get him one of those bungee dog leashes. Anyone have experience with them? I saw this one and this one and really liked the idea of both of them. TWO. I wrote an awful story about my dog getting into a bag of wine on Monday that you need to read if you haven't. No he didn't drink it, but he basically murdered my kitchen with a broken bottle of red wine. Click here to read it if you haven't yet. It is a doozy. I just wish Rory got a photo of the scene before cleaning up. Ha. THREE. So my girls LOVE shoes. Way more than I do, but probably on par with my husband's shoe addiction. I have found that the absolute best shoes for Summer are Natives. Now for most other times, we bust out the Vans because no matter how rough the girls are, those shoes stand up to it all. Can you blame them? They are skate shoes. Anyways, we bought the girls Natives last year when they were on sale and they are soooo durable, comfy, breathable and the girls can wear them to school. They are not supposed to wear sandals to school, but these babies are allowed. 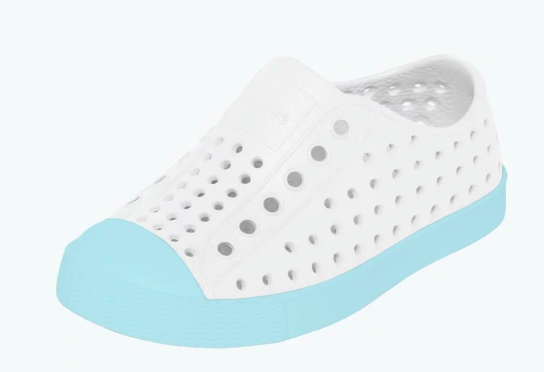 My girls feet grew over the last year (duh), so I am shopping for new ones and I love these two colors. Plus I really want a pair for myself after Kait said she wore them everywhere in Italy and no issues. P.S. They do have sandals by Natives too. FOUR. I know this doesn't apply to everyone, but it is one of my favorites for June. Today is payday which also means that we have three paydays in June. The extra paycheck couldn't come at a better time considering I just paid my car registration and I have my first payment due soon. Plus you know all those extra clothes, shoes and things that I NEED for summer. FIVE. I saw the funnies video yesterday. I read soooo much Dr. Suess to my girls and loved reading his books growing up. If you did too, then this video is for you. It sounds like June is off to a great start for you already (yay for 3 paychecks!). Love those natives, so cute. I'm with your girls on the shoe obsession. ;) Have a great weekend! I hope you have a great weekend too!!! I love shoes, but not like my girls and husband. The boys loved all things Dr. Suess, I did too. So sweet they love shoes like mama!! Have a GREAT June weekend sweets! Me too. I love the Inside Your Outside Book. One of my favorites. Have a great weekend! OMG that video! HAHA! We read lots of Dr Suess and my Mom gave me all the books we had when we were kids! Rick gets paid weekly so we just got off a 5 paycheck month so I know exactly what you mean, it's totally like a little bonus!! We got a ton for my baby shower so a bunch of them have beautiful sayings and things written to my girls. I loe that. Yes, 5 paychecks. I wish I was paid weekly. Ha. Have a great weekend! I love all of those Natives. Olivia literally wears hers every day and she loves them, too! They really do live up to the hype! Yes they do. My girls lived in theirs all last Summer! Oh they are the best. 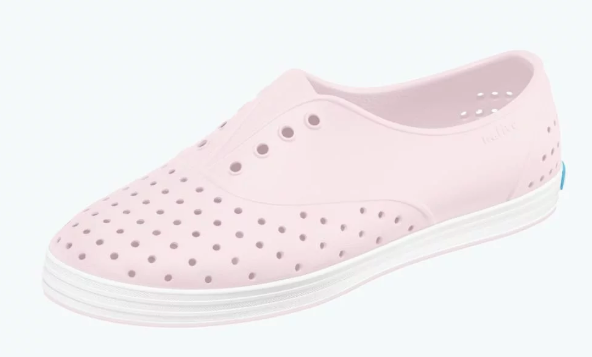 Breathable, comfy, cute and soooo durable. Haha. She did go through a growth spurt. Oh I need to watch that one right now. Ha. Haha. That is too funny. I love those 3 paycheck months. Get the harness. My friend's dog needed it and they love it. Have a great weekend! They have boy shoes too. I think your boys would like them as well. I love the video too. It is just too fun! Have a great weekend too! Yay for June!! Loving those colors for the natives, I should get my goddaughter a pair of those! Enjoy your weekend! Oh I bet she would love them! You have a great weekend too! My kids outgrew Natives before they were popular. I didn't know they come in women's sizes! Oh dang. They do come in mens and womans sizes. I need to get one of those harnesses for my little dude. He is used to a harness but after the last one had had it's share of wear and tear I failed to purchase a new one. Yay for three paychecks - best months ever! Have a fun weekend! Oh yes, these ones are incredibly durable too. I hope you have a great weekend too! I love an extra paycheck month. Ours is not until August and it is perfect timing with my bar dues being due in July. I have a traditional retractable leash and a harness for Ginger since I got her and I love it. I can't open your first leash link but the second one looks really cool! Have a great weekend! We get another one in December I believe. That is perfect timing for your dues being due. Oh I will fix that. Thank you. Oh wow. I had no idea. That is crazy. I will definitely let you know if this one doesn't work for us. I hope you have a great weekend too! We bought our dogs new harnesses recently too and PRAISE BE they are actually working. I don't want to jinx myself, but I can actually walk both dogs by myself now which would have NEVER been possible before. Oh my word - don't even get me started on how much I love my NATIVES! Seriously - you cannot go wrong!! We need to get a harness like that one for our dog! She pulls and sometimes it ends up choking her if she's going too fast which isn't fun at all. I wonder if that one would be a much better investment? You'll have to update on how your pup likes it & if it's helped with the pulling! Three paycheck months are wonderful! That extra money at the end of the month is so nice to have! Those shoes are so cute, need to keep those in mind as Bella grows! Three paycheck month is the bestttt! Hi, I found your blog through my friend Rebecca Jo. I like your new harness. We always use a harness to walk our dog too because I feel it is safer than attaching the leash to the collar. Plus we can connect a seatbelt through the harness too when we take her in the car. 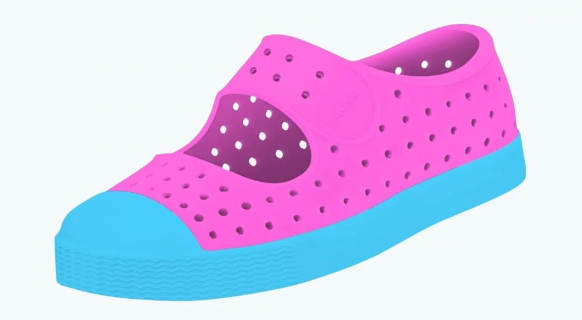 Those toddler shoes are so cute and I've heard amazing things about them! Love Natives, I need to get E a new pair and now I need some for myself.